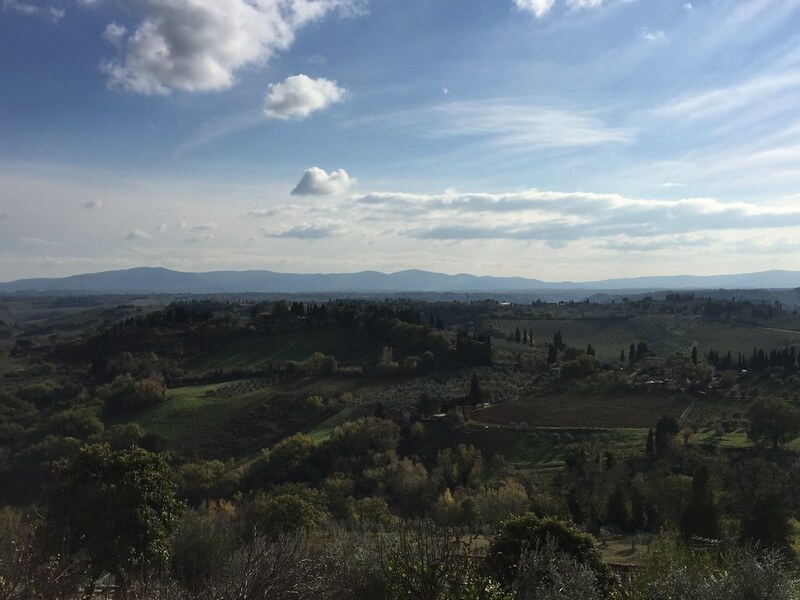 I spent the long Thanksgiving weekend with Caitlin and Lucia belting out Adele songs while driving our tiny Fiat Panda through the Tuscan countryside. Alas, this is how memories are made. It's unlikely that I'll ever think of Adele again without remembering that weekend. If you haven't heard enough of Adele lately, check her out with Jimmy Fallon and The Roots below. 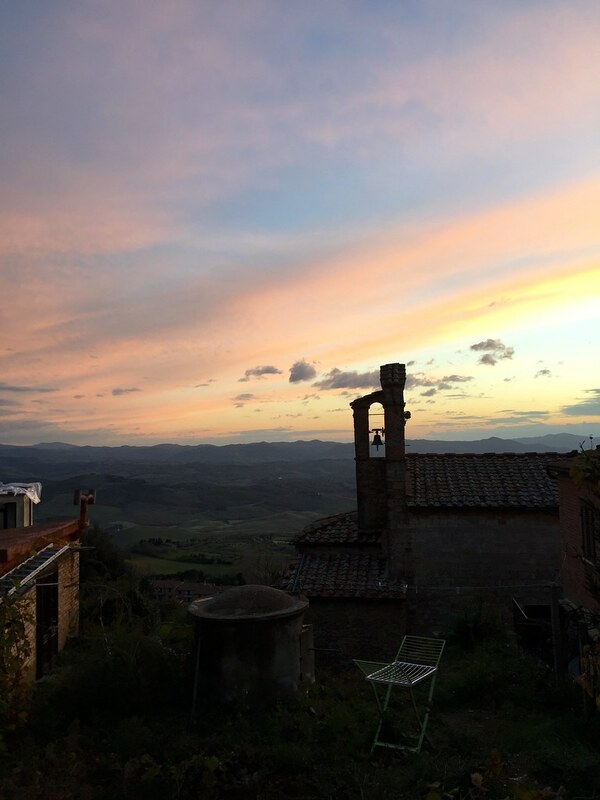 Anywho, let's get to the rundown of our few days in the hill towns of Tuscany. 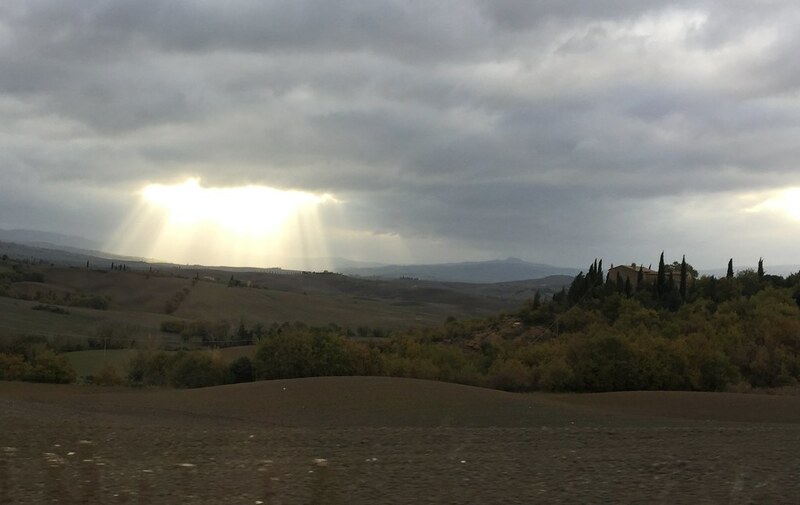 You might remember our driving adventures in Siena a few years back. I tried, thoroughly, to avoid reliving this situation during this trip. Caitlin and I had made these initials plans and Lucia, a Spanish teacher at ASM, decided to join us. I was thrilled. She's legally allowed to drive in Italy and was happy to be the main driver on the trip. We all met in Florence and rented the car from there. 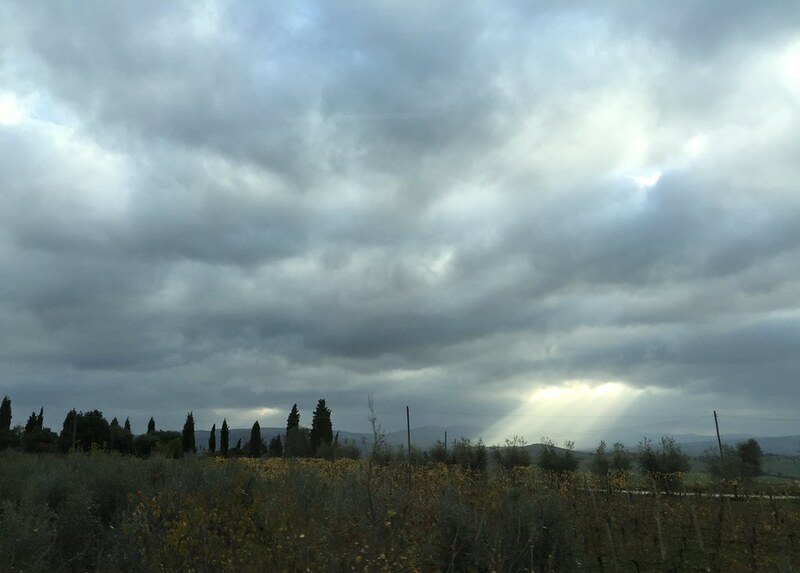 We took off for San Gimignano, a town about an hour or so from Florence. 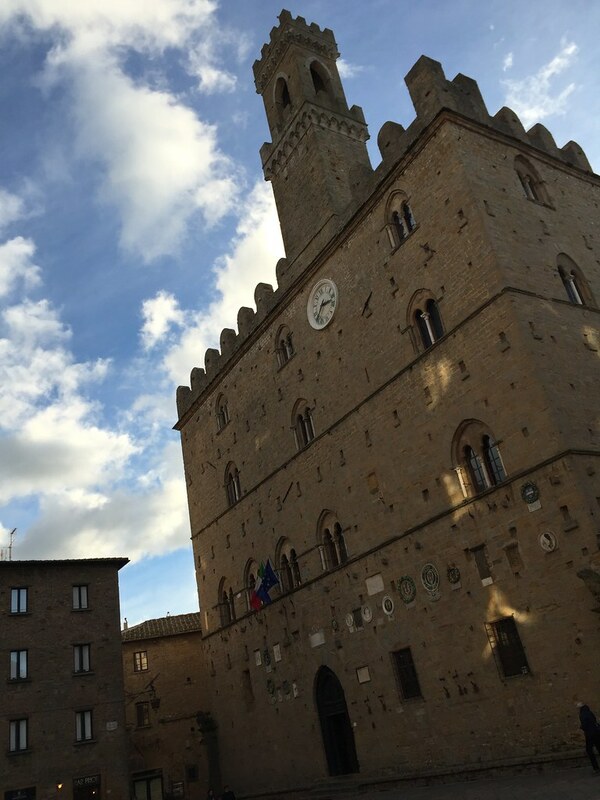 After a nice lunch, we headed for Volterra, another nearby town. 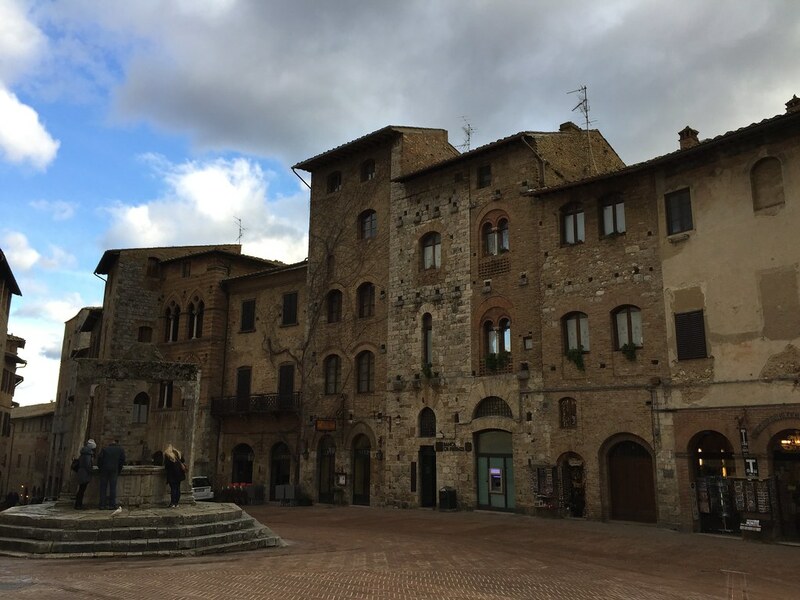 Some of the filming for New Moon, part of the Twilight series was done in Volterra (though most in Montepulciano) and I wanted to see it for myself! Caitlin and Lucia all bundled up! And after checking out the main square, we didn't stay for long! 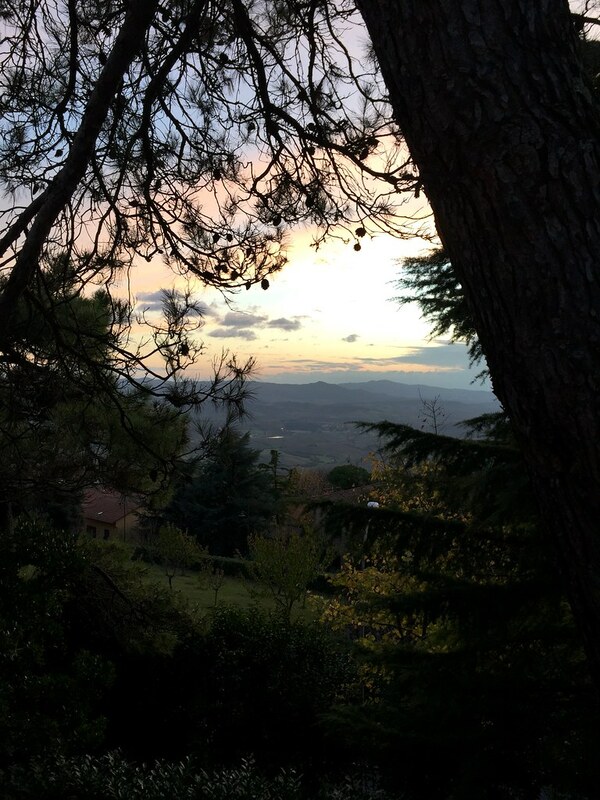 We wandered to the edge of town before heading to our agriturismo and caught some great shots of the sunset. 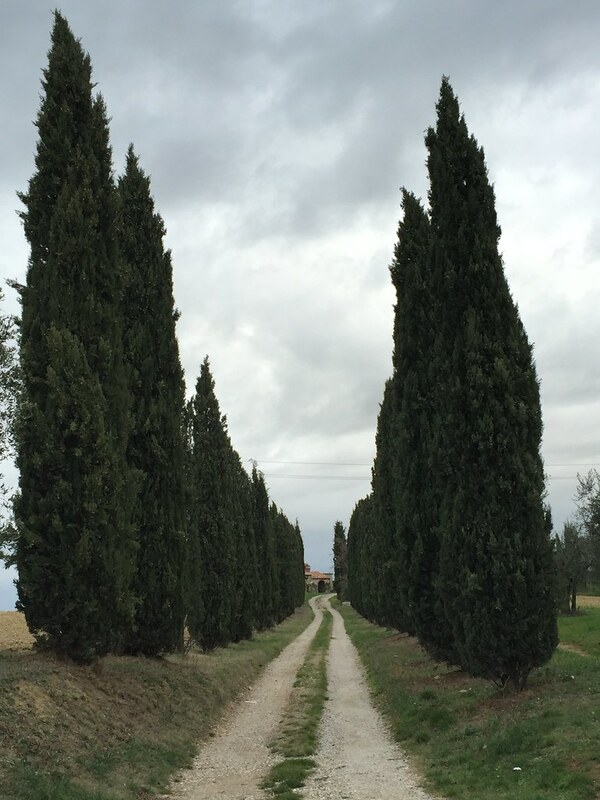 We booked an apartment in an agriturismo in San Quirico d'Orcia. 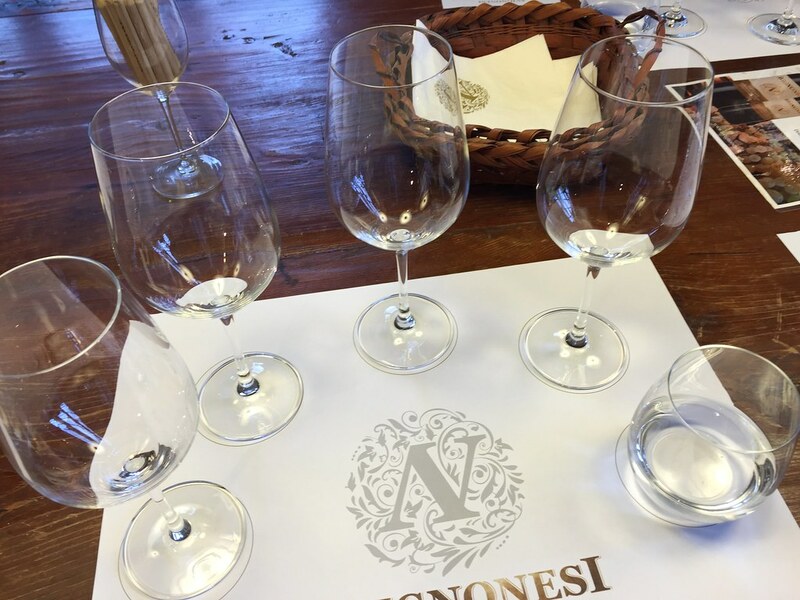 We headed to a wine tasting the following morning at Avignonesi. 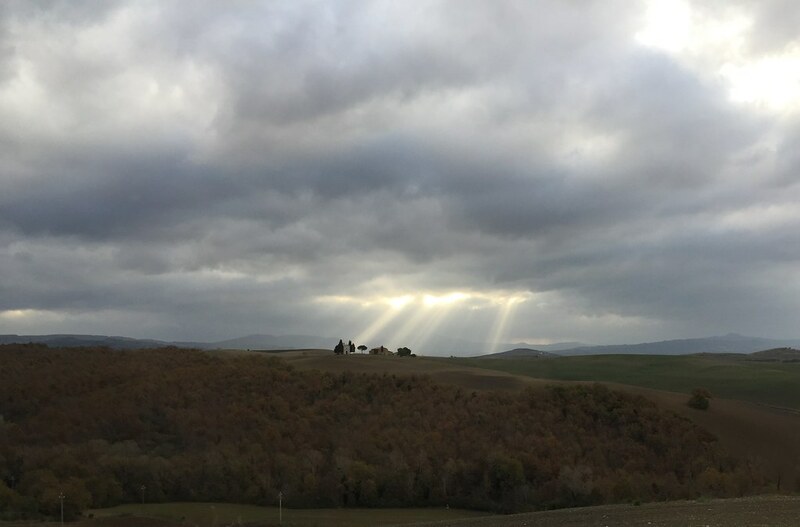 On the way, we caught some shots of the countryside with the most amazing light. 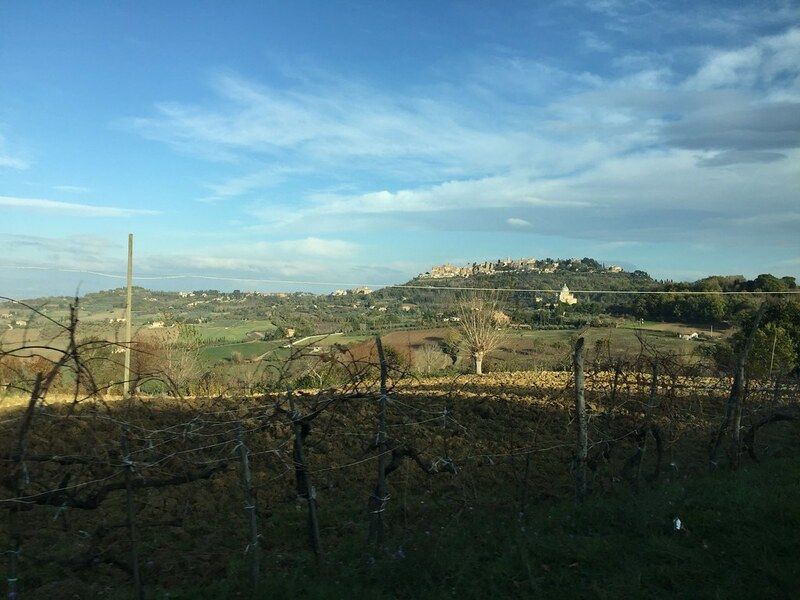 One of this winery's claims to fame is their Vin Santo. 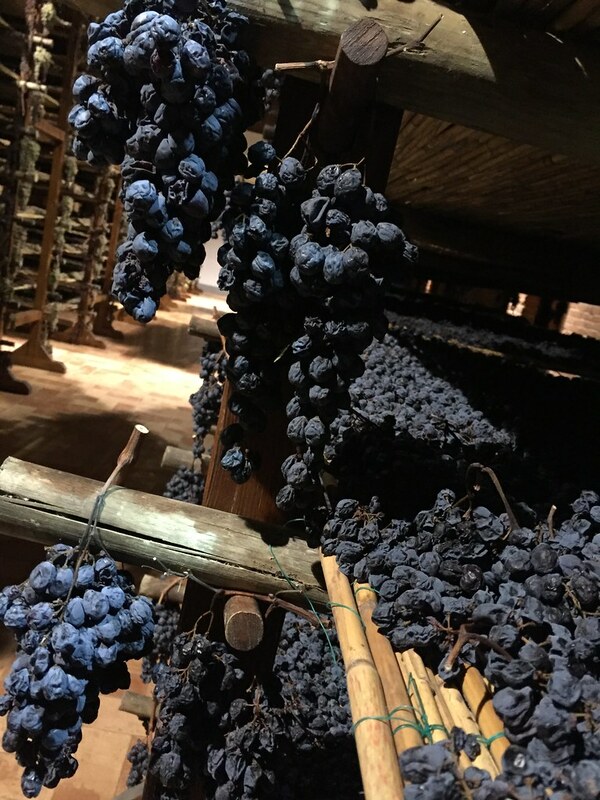 The grapes are aged for approximately 6 months before they are pressed. 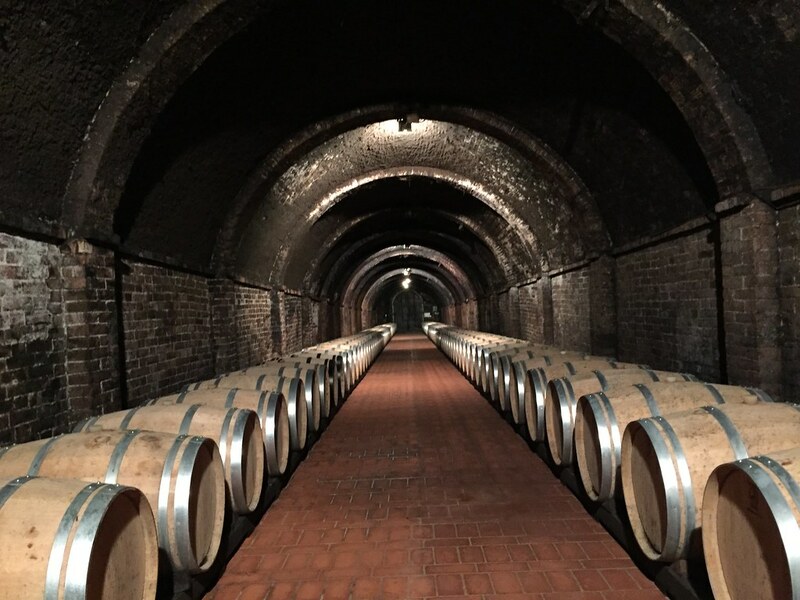 Then the wine will be aged in the barrel for over 10 years. 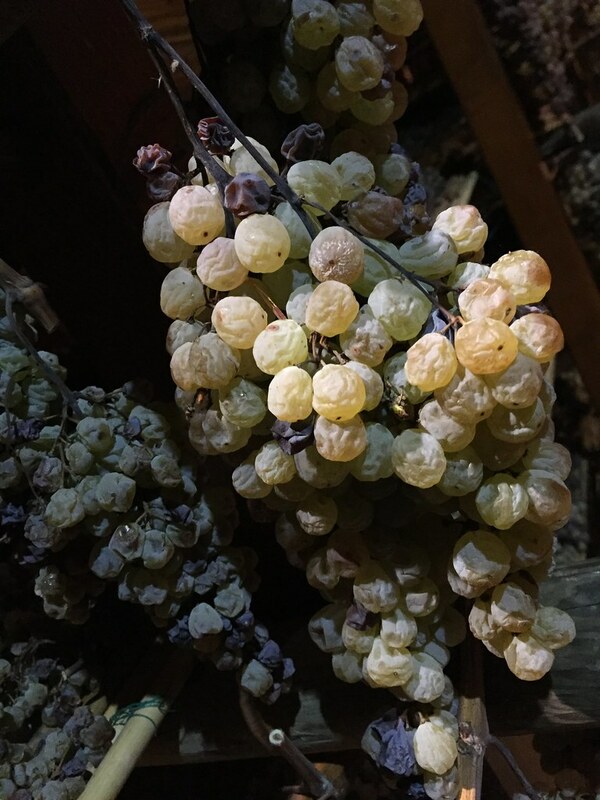 These grapes won't be for sale as wine until at least 2028. 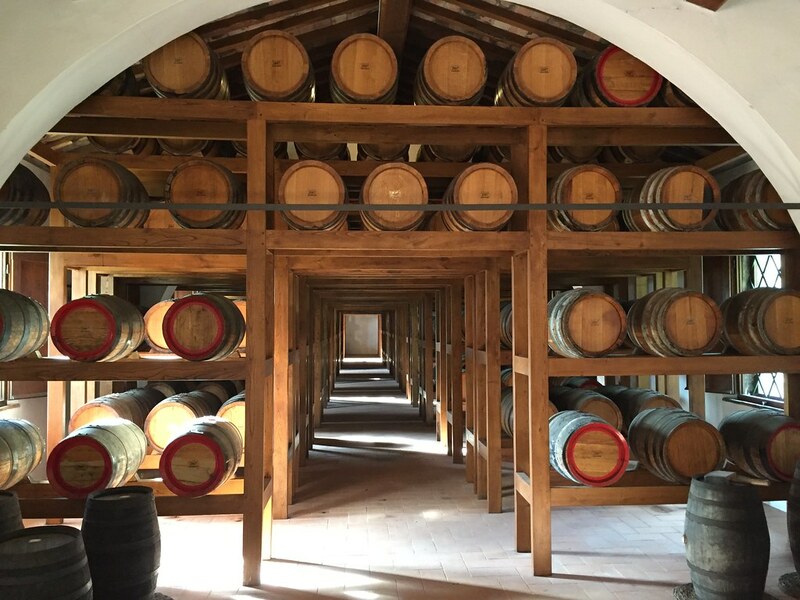 They produce both a red and white variety of Vin Santo. and helps explain the especially high price! These barrels are not moved once placed during the ten year process and they are not cleaned between batches. The 'mother yeast' that accumulates in the barrel is left to help develop and flavor each vintage. They also produce some "regular" wine. 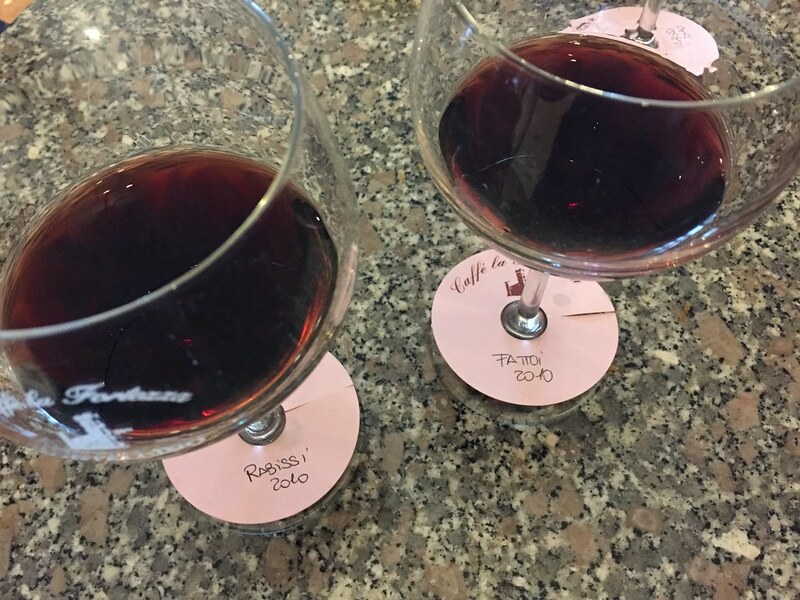 We tasted four wines and then the Vin Santo, which has an extra fee to taste. We loved the Vin Santo and the last two reds that we tried. Here's a little slo-mo action of the Vin Santo. 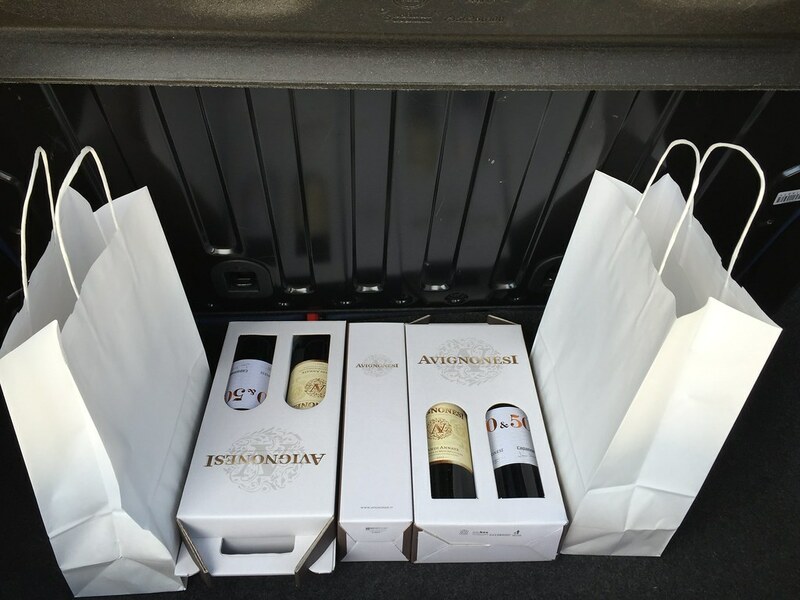 We bought some wine while we were there. This amount of wine cost about 650 euro! Wowser. But it is so delicious it was worth the splurge. After a big wine breakfast, lunch was most definitely in order. 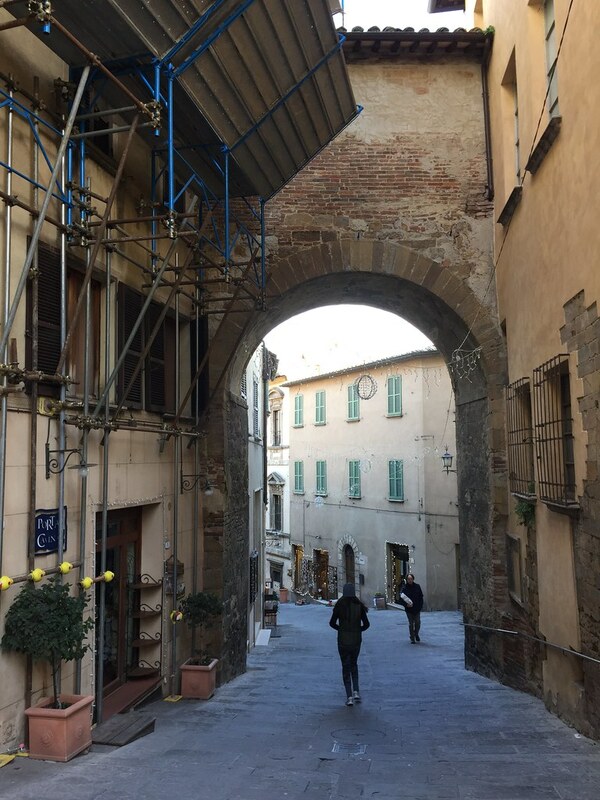 As we headed into Montepulciano, this walkway had a sign indicating that some Twilight part had been filmed here. 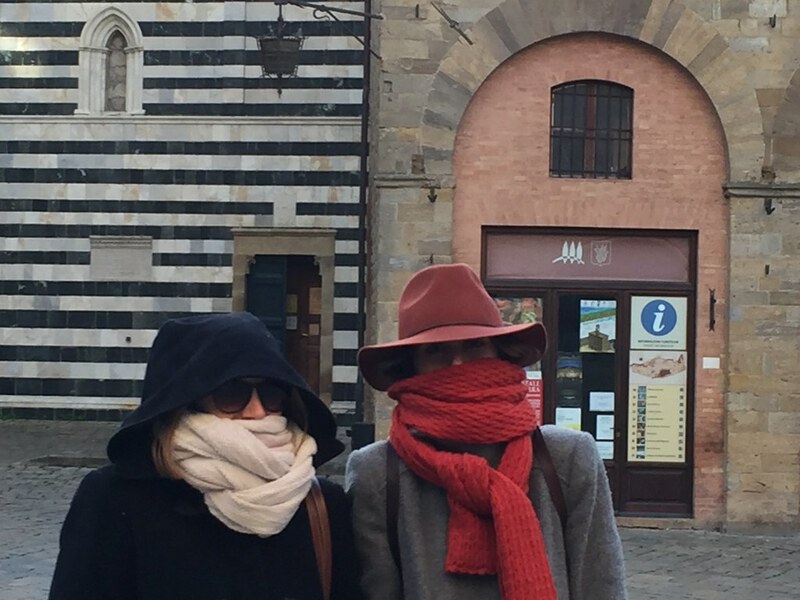 It was so cold and windy we just couldn't bear to spend much time in the cute little towns. 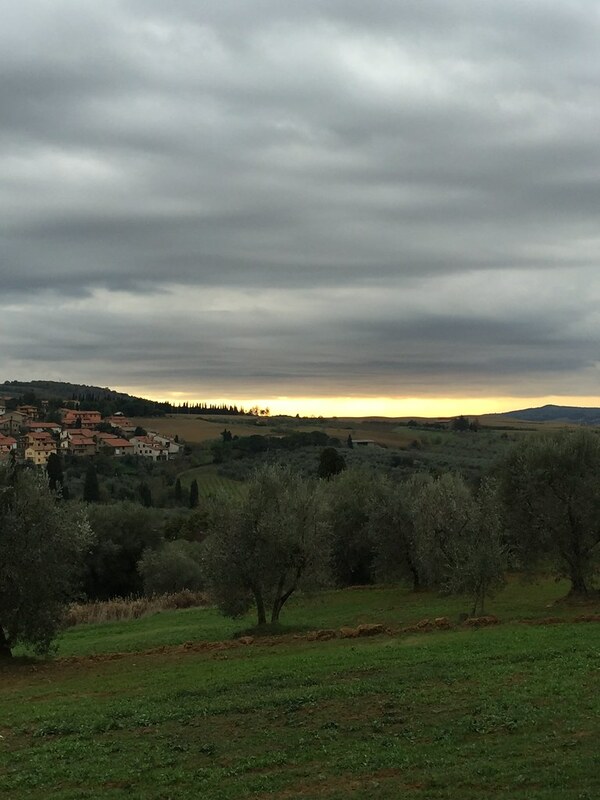 We also spent a little time wandering San Quirico d'Orcia. 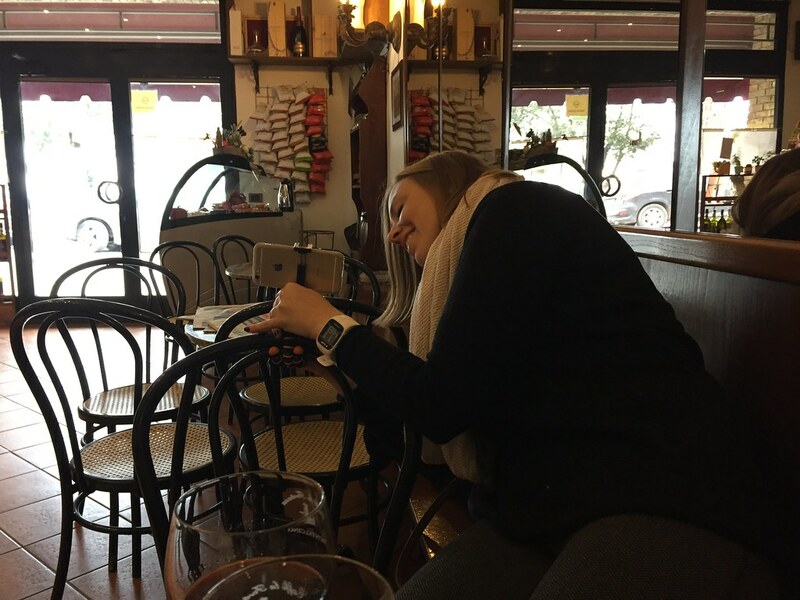 Caitlin time lapsed our entire time sitting in a little bar tasting two Brunellos. 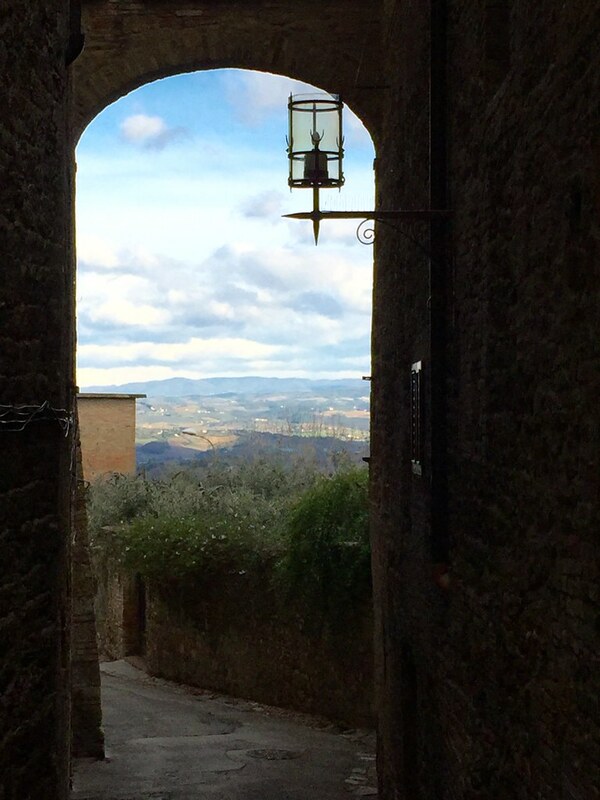 Here's some traveler tips to help plan your own Tuscan hill town adventure. 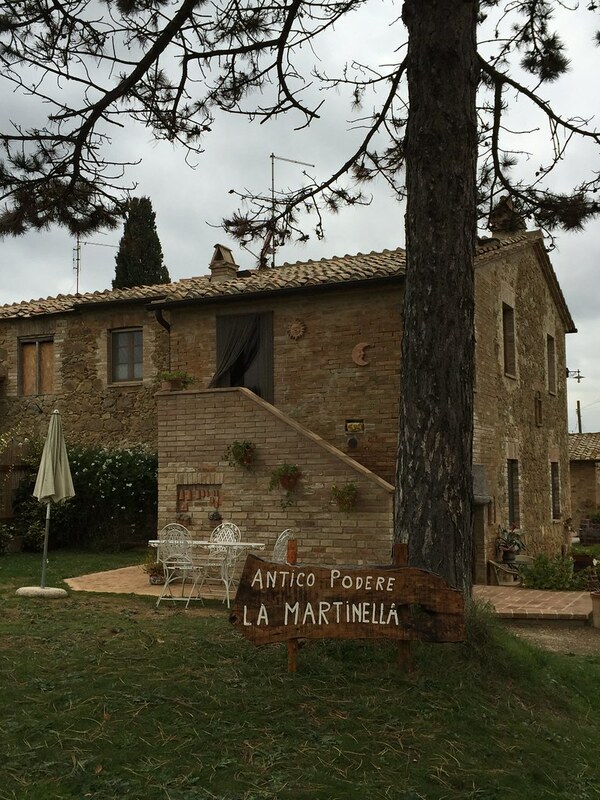 We stayed at Antico Podere la Martinella. 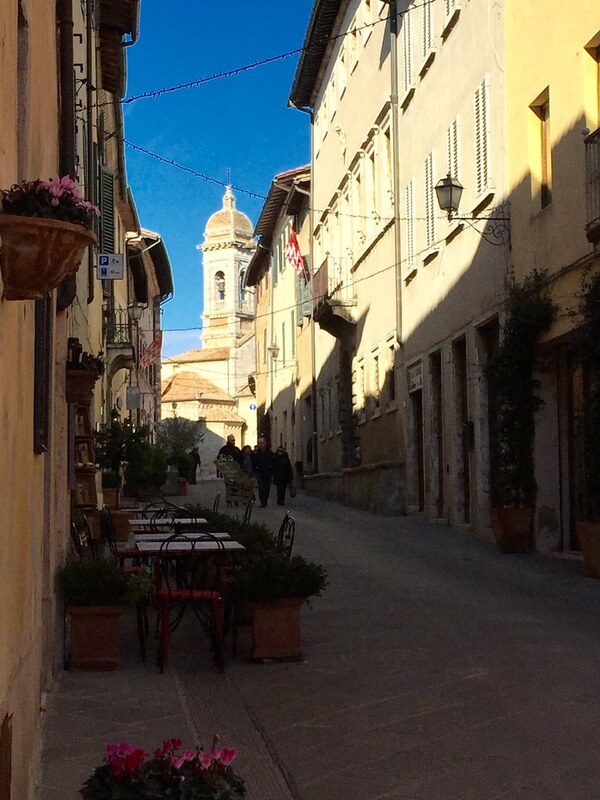 It was inexpensive, not in a major tourist thoroughfare, but still nearby a cute town with plenty of restaurant options. A car is necessary. 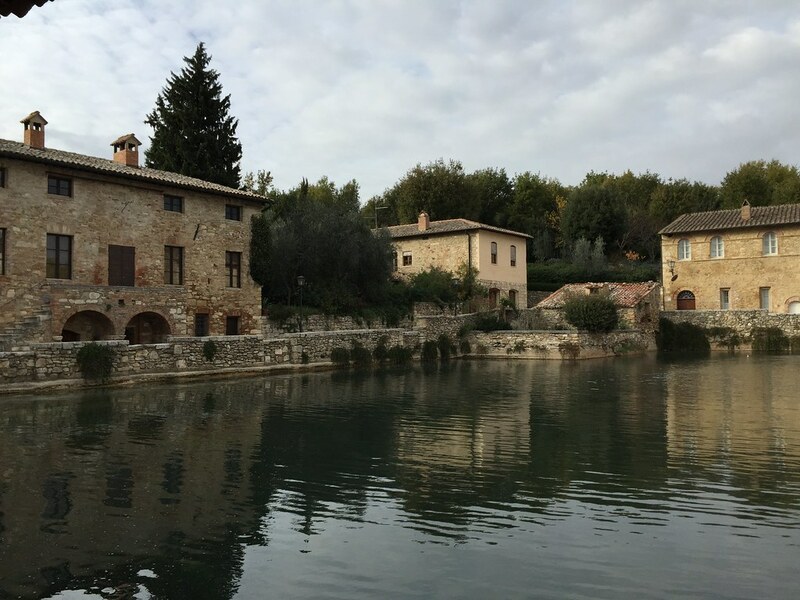 We ate at a couple of locally recommended places: Trattoria Osenna, L'officina (for great thin crust pizza), and Al Vecchio Forno. 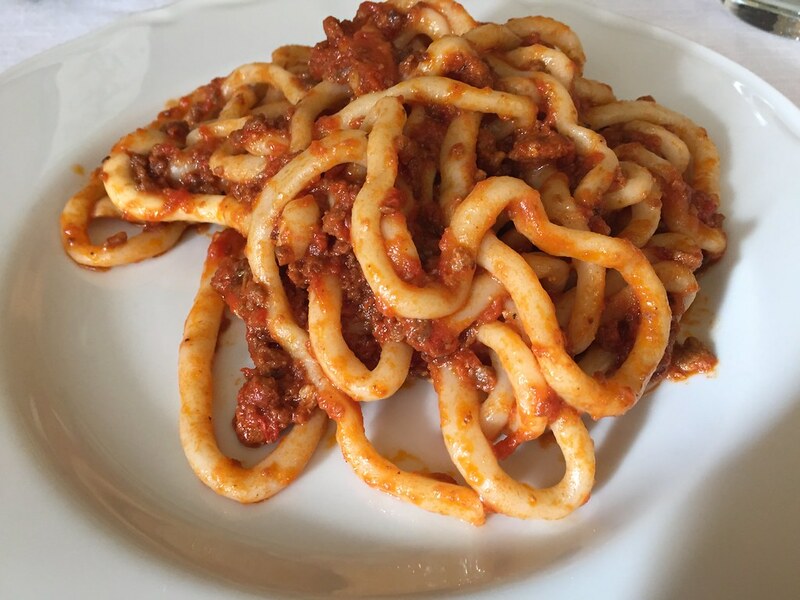 Between Avignonesi and Montepulciano, we had lunch at Piccola Trattoria Guastini. 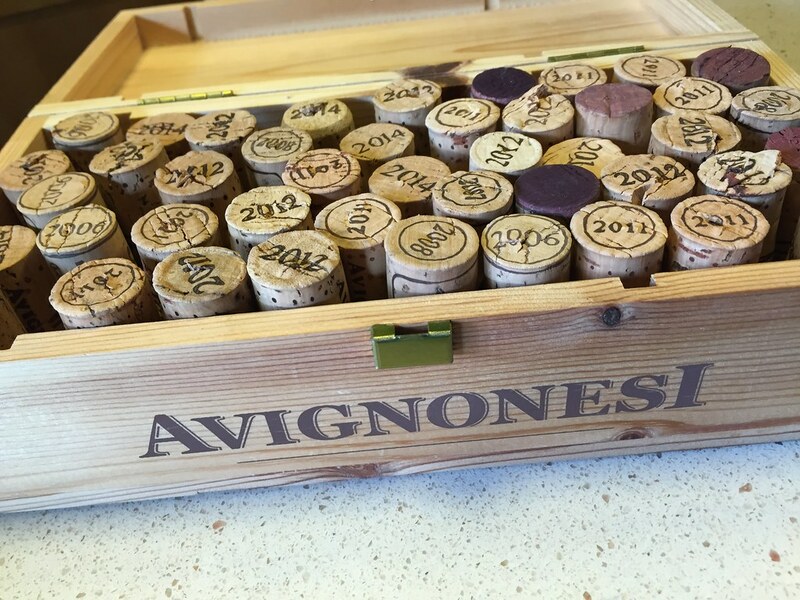 For wine tastings at Avignonesi, be sure to email in advance and make a reservation. 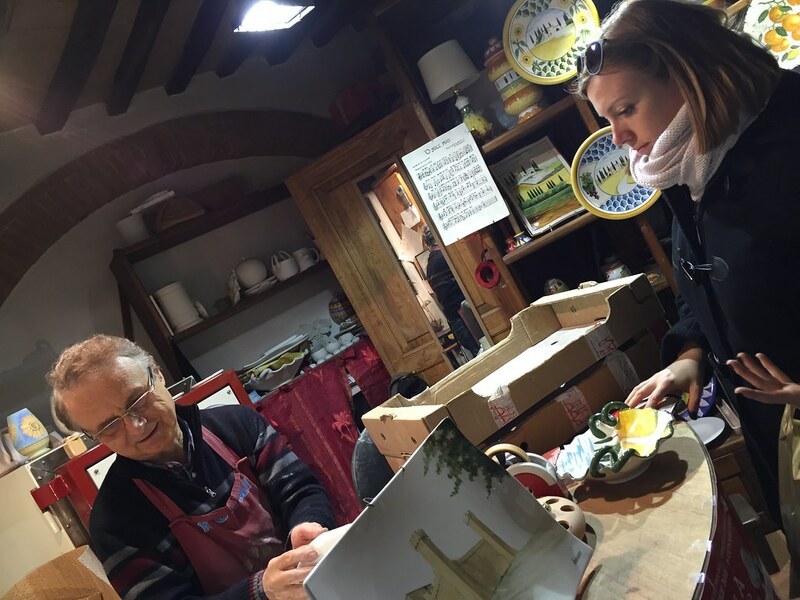 Wine tastings and tours cost 15 euro per person and include tastings of four wines. An additional fee is charged to taste the Vin Santo, but it's waived if you purchase a bottle. Found this amazing blog post about the area that you might also find useful. 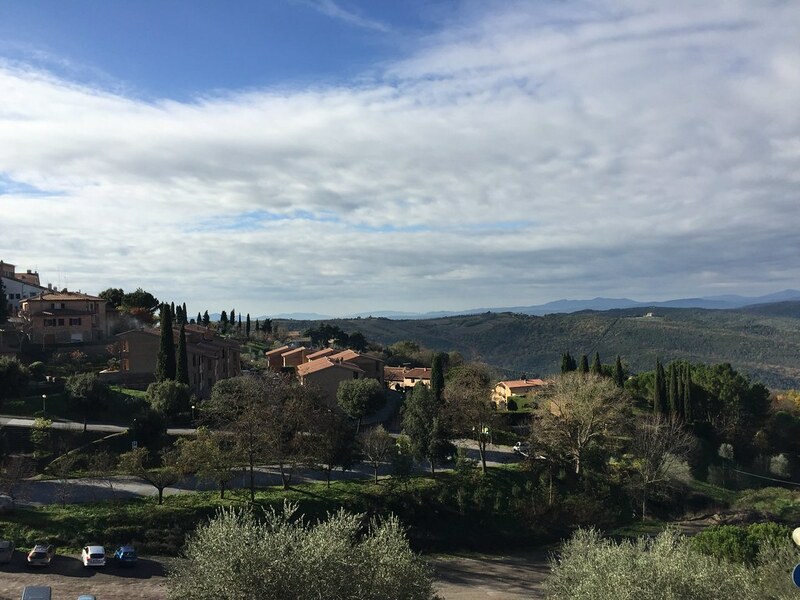 Do you have a favorite Tuscan hill town? Please share!